Find My Workspace lists over 95% of the business centres market in Leeds. Simply click Request Quote to check pricing for one office, or Add to Basket for multiple offices. 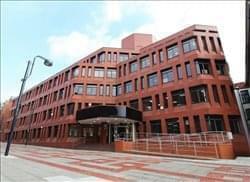 These serviced offices are located on the 1st floor of an office building located in the heart of Leeds. This space is perfect for start-ups and contractors, you will have access 24/7 via a pin code so is well suited for any businesses working hours. Offices are furnished and there is a friendly admin team who can assist with mail handling, telephone answering and greeting your clients. With a range of offices to suit your needs and flexible terms this makes it an ideal location for your business. The centre has offices available to suit 3 to 20 persons. Fully inclusive package so there’s no need to worry about electricity and heating bills, waste disposal and buildings insurance. All of the offices come with fully inclusive package and flexible agreement on monthly terms. They are in a ideal location and include access to a communal kitchen and break out area. There is free use of a meeting room as well as free parking. Run your business from this 22,000 sq. ft. business centre. Have the benefit of a prestigious address in an unbranded office. This centre feel your business should be at the forefront not theirs. Perfect for regional offices, sales offices, new start ups, SMEs etc. The centre can accommodate your needs, with flexible terms and no hidden costs. The offices are in a modern building and have been finished to a very high specification. Internet access is via the 1GB leased line with 100MB upload/download speeds. Direct dial phone line available to all businesses. All clients have 24 hour access 7 days a week. Ample free secure parking. Excellent break out area. Meeting rooms, conference room and boardroom for your use. Recently opened, this new centre is located right at the heart of Leeds’s city centre. The space is comprised of five floors, totalling 35,000sqft all in all. At the heart of the centre’s design is a desire to make it accessible for all types of businesses, from start-ups and younger companies, to more established businesses. There are a wealth of membership options available with over 200 workspaces available for both hot desking and coworking, and 35 private offices in varied sizes also available. The centre also has brilliant conference/meeting facilities – 10 rooms in total – that come equipped with projectors/speakers, providing a professional environment to host potential clients. The centre also has a spectacular roof terrace, a fully licensed onsite bar and eatery, and kitchenette facilities. 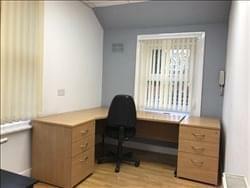 Brand new serviced office accommodation situated on Ellend Road, Leeds. Office suites range from 2-12 desks and offer open plan, modern work space. The offices are kitted out with comfy furniture and ample desk space and come with both central heating and air conditioning installed. There is an inviting reception area which is manned 9am-5.30pm Monday to Friday to ensure clients are welcomed to the building. There are two boardrooms which are of a high specification along with two communal kitchens with space to eat, and on-site gym. The offices also come equipped with 100MB hi-speed internet and are available on flexible rental terms. There is 24-hour HD CCTV and the centre is accessed through an automatic gated entrance, therefore providing a safe and secure base for your company. Fully refurbished Grade A space, set in close proximity to Leeds City Centre, these stunning office suites have been finished to the highest standard. Fully serviced including all utilities, fitted kitchen with dining facilities, boardroom and chat room. All suites are fully air conditioned, come with LED TV’s, with high speed broadband and VoIP telephony packages available on request. Centre comes with free parking. A flagship period property above Leeds Market in the Victoria Gate Area. A truly iconic workspace in the city centre of Leeds just a few mins walk from the train station. Landmark domes and large period windows flood the building with natural light. Having undergone a comprehensive refurbishment to serviced offices, the centre offers unique, design-led workspace for various business sizes. From smaller 1 person offices to larger 20 + person suites. Much of the building’s original detailing remains and is seamlessly mixed with sleek, contemporary design style. Fully equipped and furnished serviced offices, with superfast, rock solid connectivity, flexible terms, meeting rooms, board room and event space. This business centre overlooks the dedicated railway station that connects to Leeds city centre in just six minutes. The space is located in the the first office building in the new neighbourhood at Kirkstall Forge and was designed by the best of British architects, with inspiring design that will motivate your employees and allow your business to grow and develop. Amenities include award winning meeting rooms with the latest conferencing facilities, IT support and concierge services from the friendly Life team. The real hub of the building is Butler’s, the ground floor restaurant/bar that welcomes commuters and flexible workers as well as those working in the building with open arms. 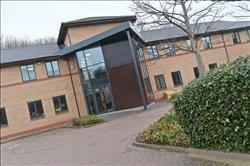 This is your opportunity to have a city centre quality office, six minutes on the train from Leeds city centre and an out of town parking allocation. These superb furnished office is suitable for up to 2 workstations, set in a very quiet & friendly environment with 5 other small businesses. The suite includes a small kitchenette with microwave, small fridge and coffee making facilities. There is ample on street parking available and the offices are available 24/7 with no restricted access. This centre is an exceptional Grade A office building in an attractive Leeds location, based only a short walk from The Headrow. Boasting two 4,800sq ft floors of work space and a premium penthouse event suite, Northgate is exceptionally competitive, offering a fantastic range of facilities and an attractive proximity to the heart of Leeds. Our spaces are designed with modern working practices in mind, with everything you would expect to find (kitchen facilities, breakout areas, secure underground parking) and those little extras that make all the difference (designer Ergohuman chairs; Nespresso coffee machines, roof terrace, showers and bicycle storage). This centre accommodates businesses and budgets of all sizes – from a shared desk in our bright and airy open plan areas to a private and secure serviced office for a growing business, we make your work our priority. Our super-flexible approach means you can book meeting and conference rooms, office space and co-working desks by the hour, week, month or longer. 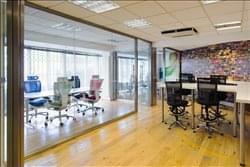 These ground floor modern serviced offices are in Leeds City Centre. Located opposite Leeds Combined Courts, the unit is available immediately and comes with desks, chairs and entry phone. The reception is manned from 8am – 6pm and the friendly staff offer a wide range of additional services depending on your requirements. 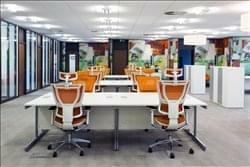 This includes boardroom use, a business lounge with full kitchen facilities and full postal and photocopying services. The office will comfortably sit four people but the flexibility is there to accommodate up to seven professionals. The spaces can be accessed 24-hours a day. 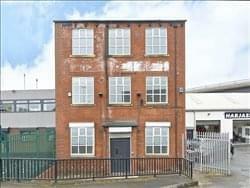 Located just two minutes from Leeds train station in a prime, central and established business district. Situated next to the expansive and beautiful Park Square Gardens. The interior design is unique, clean and modern and comprises a mix of uniquely designed private offices, co-working space and meeting rooms all equipped to a high specification. Beautiful, design led surroundings to inspire creativity, with a strong sense of community and a solid work ethos. Fully stocked kitchens including unlimited breakfast cereal, Bottega Milanese coffee and Yorkshire Tea. The community is managed by a dedicated on-site team that curates a range of social and business events. This 80,000 sq ft building stands prominently on Leeds’ City Square. 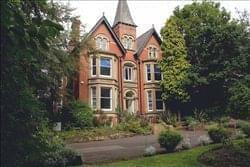 Instantly recognisable by its feature turret and complimented by a professional modern interior. The fantastic facility offers a contemporary office environment, state of the art meeting space, an on-site deli, club lounge and well-being facilities for businesses who require a focus on productivity, yet appreciate image. On top of this, the centre has the largest sky terrace in the very heart of Leeds. An all-inclusive price allows for simple budgeting and the flexibility of the space means it can accommodate businesses of all sizes. This centre is comprised of three floors of space in a purpose-built office building. With over 2,800sqft of space this centre offers an exciting proposition for a business looking to relocate and set up its new home within the Leeds area. The office comes unfurnished and offers any potential tenant the opportunity to craft their space and build their identity in any way they’d like. It has also been recently renovated and comes with a fresh, clean finish, with an abundance of natural light. Fully open-plan, you will be able to design the lay-out of the space to fit your wishes. Amenities include kitchen facilities, toilet facilities, heating, LED lighting throughout and parking. St Andrew’s House is a fully refurbished Grade II Listed building with bundles of character, offering vibrant and stylish spaces perfect for modern businesses with a creative edge. Our building is exceptionally competitive, offering a fantastic range of facilities and an attractive proximity to the heart of Leeds. To obtain information for your selected Leeds Business Centres, please tick the "Add to basket" box for each office you prefer and complete the form below. We will then send a detailed report via email.